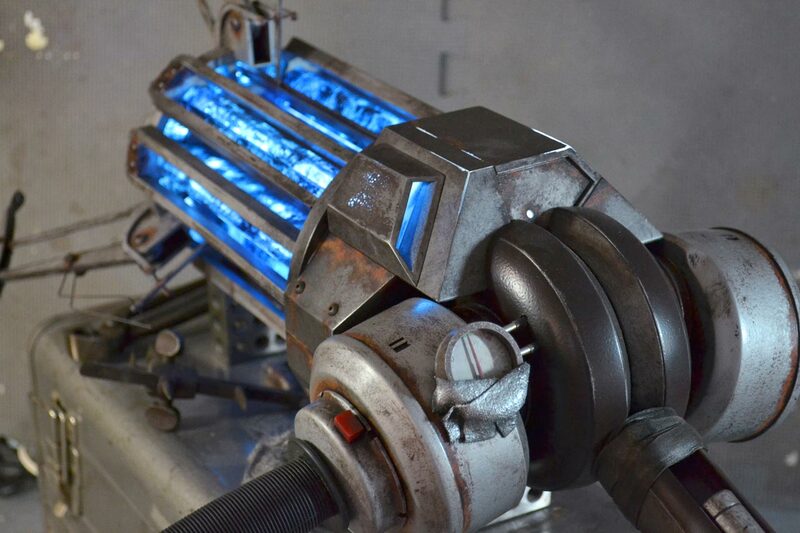 This piece was created as a “bookend” copy to the Gravity Gun replica built for the Child’s Play auction. 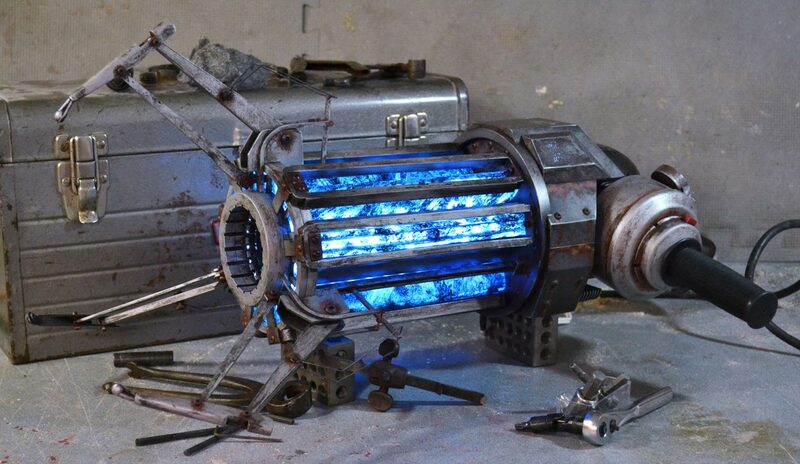 The winner of the first replica wanted the matched set from the Half-Life series. 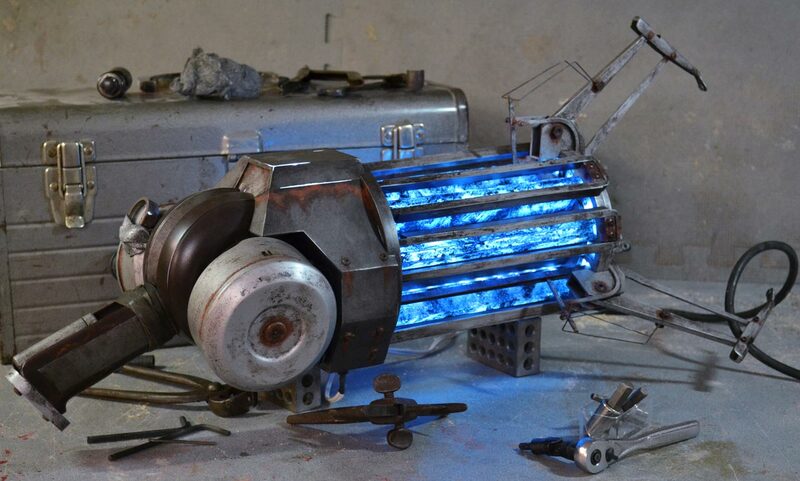 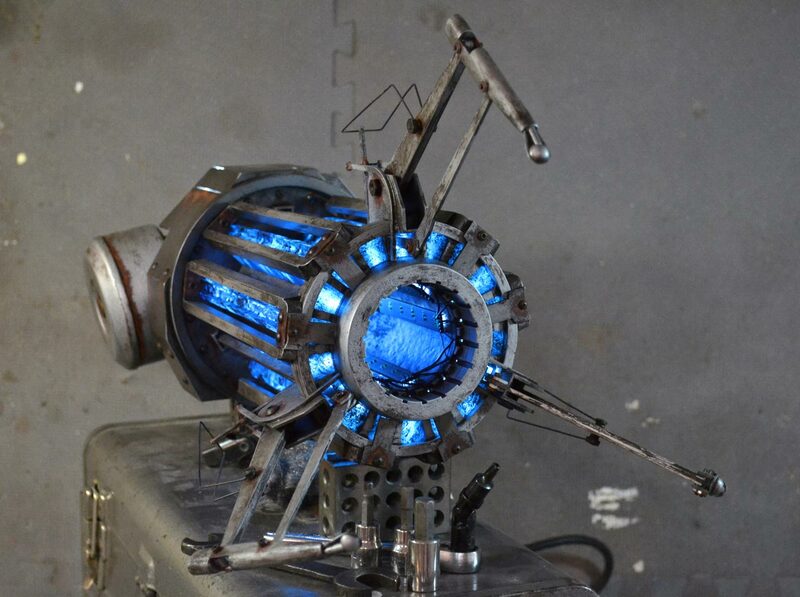 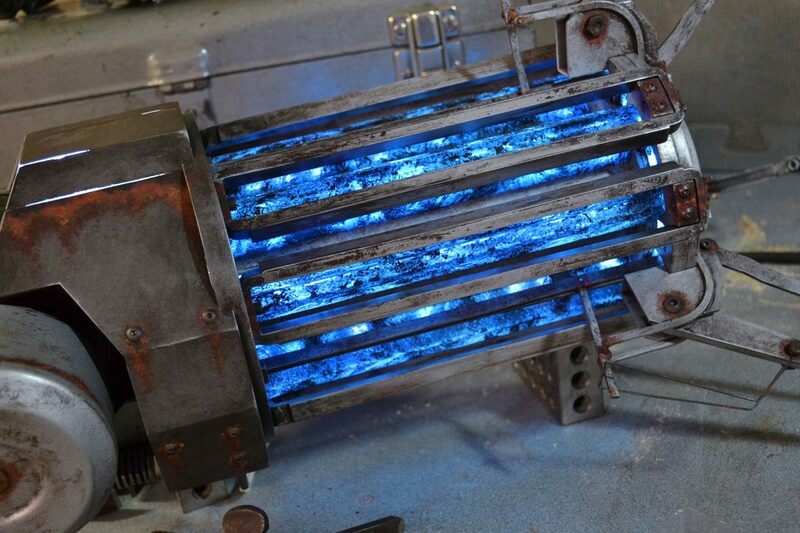 While at first glance this piece may be identical to the Gravity Gun in appearance, the electronics have been modified so the gun can operate on 4.5V DC as well as 120V AC power, allowing it to be illuminated indefinitely. 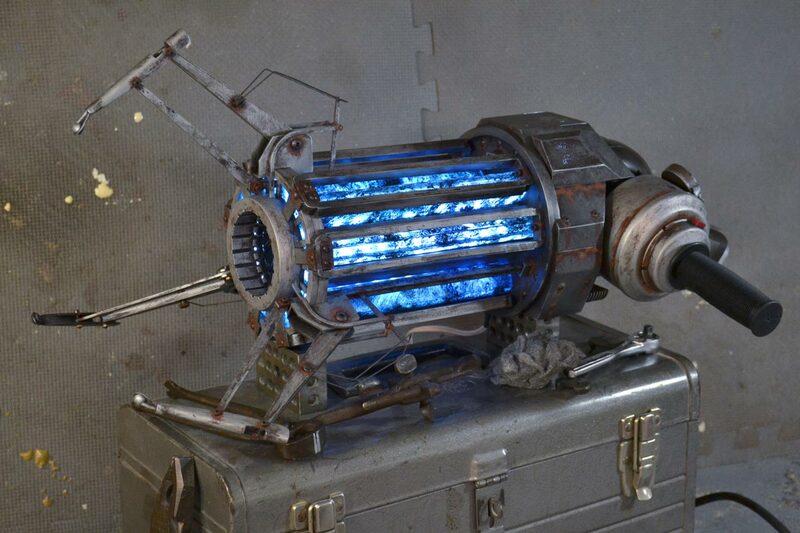 During the course of the game the regular Gravity Gun is overcharged and becomes the blue-illuminated Physics Cannon. 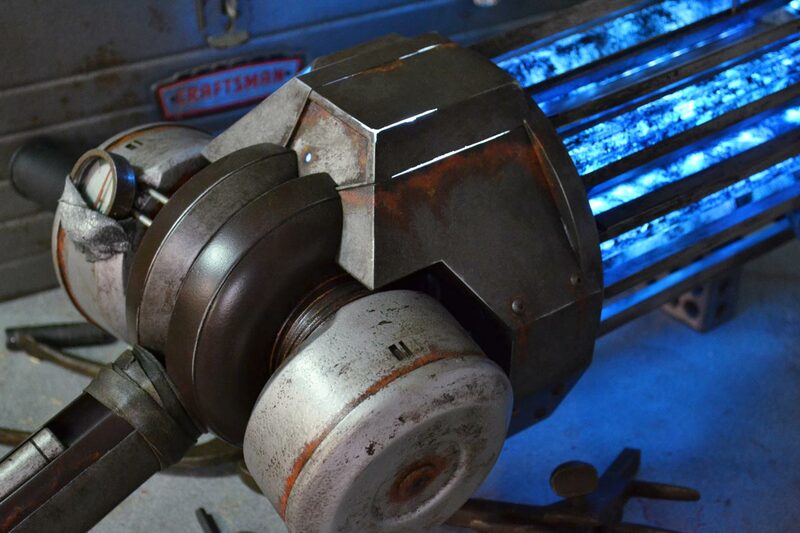 The two pieces differ in the amount of weathering they’ve accumulated as well as the color of their lighting. 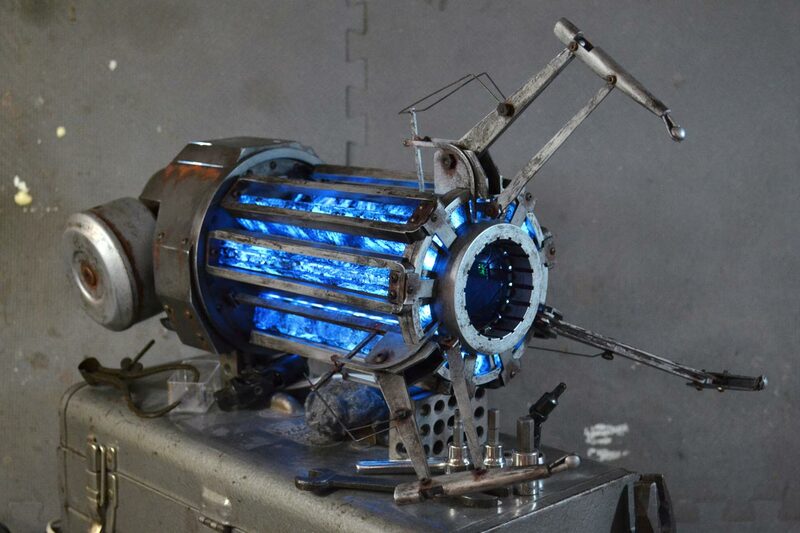 The rear casing of this replica, made from clear plastic, has several embedded LEDs inside it which shine through scratches and cracks.